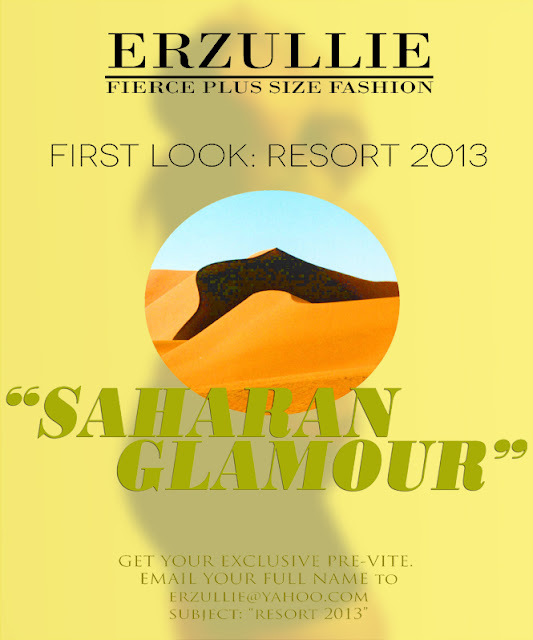 We are now down to the last 2 spots for the Erzullie First Look: Resort 2013, an event where you can get to see and buy the Resort 2013 before anyone else, socialize with other Erzulliestas and of course, enjoy some glamorous fun! Get your pre-vites today, reserve your slot and get your final invite! Just send your FULL NAME to erzullie@yahoo.com with the subject "RESORT 2013". P.S. Light food and drinks (some wine perhaps?) Will be served!